« No Brainer Summer Container Workshop! 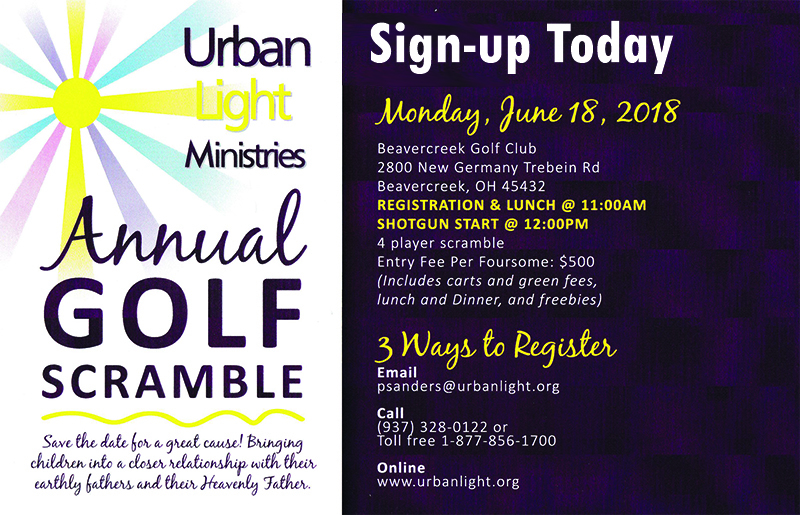 Annual Golf Scramble to benefit Urban Light Ministries. Beavercreek Golf Club Monday, June 18, 2018. 12:00 noon shotgun start. Lunch and dinner included. psanders@urbanlight.org.